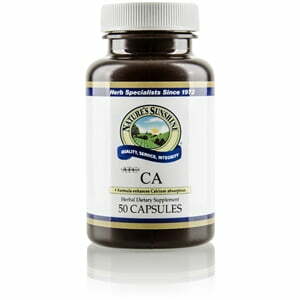 Nature’s Sunshine CA, Herbal ATC Concentrate is designed to provide a rich source of essential minerals and to enhance calcium absorption. Some key components of CA, Herbal ATC Concentrate are marshmallow root which has soothing capabilities, plantain which detoxifies the body’s systems, horsetail which supports the joints and connective tissues, and silicon which supports strong tissues. Other ingredients are wheat grass and hops flowers which detoxify and support the nervous system, respectively. 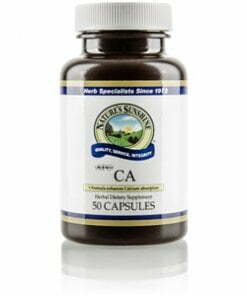 Each CA, Herbal ATC Concentrate capsule is 530 mg.